What would you do if you found out that one of your favorite stations was coming to broadcast live at your university? 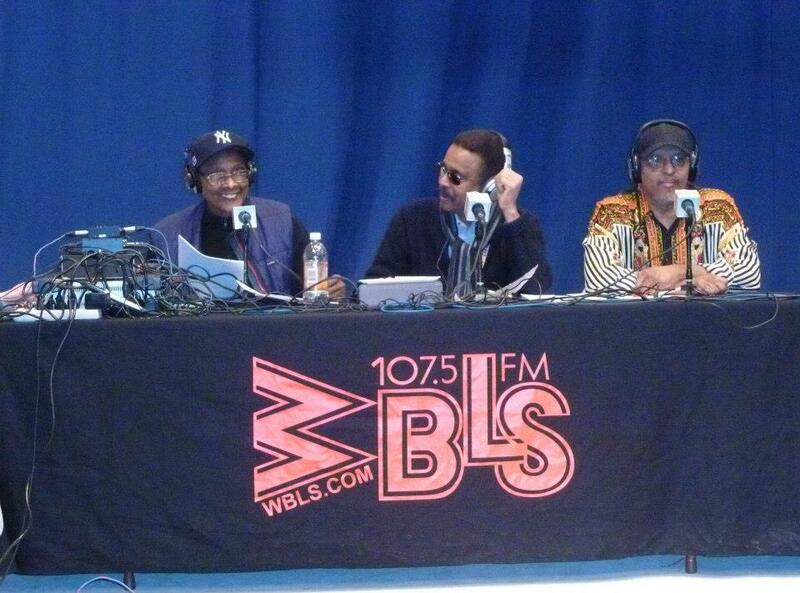 You’d probably be just as excited as I was when I heard that WBLS public affairs show, Open Line, was coming to Dempster Hall of Feb, 3, 2013! One in four students has a mental disorder, and it’s not always visible. Many college level students across the nation are not aware of this fact, according to “Active Minds.” For this reason, such an organization exists and seeks to educate people on the issue. Created in 2003, Active Minds is a nonprofit organization with a distinct mission: “to help college students use their voice and change the conversation about mental health into something positive,” said Maggie Bertram, Active Minds Manager for Student Lead Initiatives. October 9, 2012 was recognized as this year’s “National Day without Stigma.” This is a special day that promotes tolerance and addresses various stigmas associated with mental illness during “Mental Health Awareness Week.”The week is usually observed during the first full week of October, while “Day without Stigma” is held on a Monday or Tuesday of that week. Alpha Phi Alpha Fraternity Incorporated, along with the National Association of Colored People, co-sponsored an event entitled “The Plight of the Dark Skin Girl” on Monday, March 26. The program was created to bring to the forefront the issues in the lives of dark-skin women growing up in America. Jonathan Foucault, president of Alpha Phi Alpha, stated the purpose of the event was to discuss skin color in an open forum. “Skin color especially within the African American Community is always spoken about in private conversations, never in public,” he said. Speaker Cathleen Williams, a journalist professional, was invited to host the event and truly probe audience members. Williams began the event with audience members folding a piece of paper down the middle and writing stereotypes of fairer-toned African Americans on one side, and writing stereotypes of browner toned-skin women on the other. The floor was then opened to discussion. 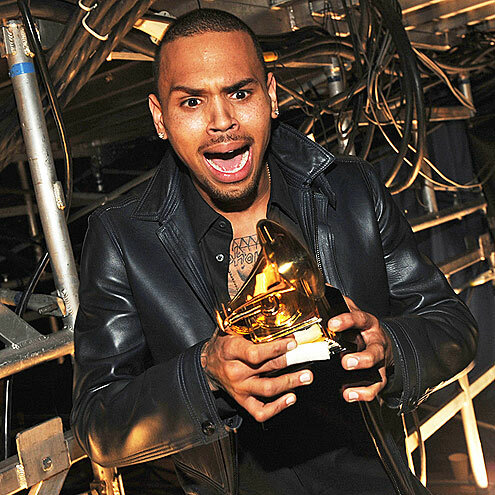 Will Chris Brown Ever Be Forgiven? Since that incident, Brown has taken court-mandated anger management, and is currently on probation until 2014. He apologized on multiple occasions and Rihanna has stated that she has forgiven him and they are now following each other on Twitter. 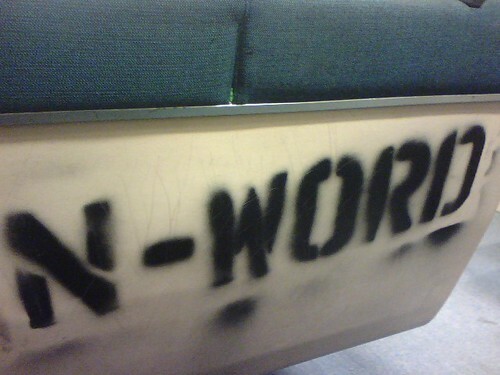 To some people, the N-word (the one that ends in an “a”) is a term of endearment, especially when used by black people. But it can also be used as an insult. So since the N-word is very popular and it seems to be accepted in pop culture, is it okay for someone of another race to use the word? Some argue that “if black people say it all the time, why can’t I?” That is not a valid argument because not ALL black people like that word. You may hear it in a lot of music and comedy shows, but that is just a small percentage of blacks.. Oprah Winfrey has discussed her dislike of the word on many occasions. She even had a debate with Jay-Z about it when he was a guest on her talk show. Reverend Al Sharpton even held a funeral to bury the N-word. To say that black people use the word all the time is false, and it’s grouping all black people in one category. As I stroll through campus on my way to class, I can’t help but notice the absence of black love here at Hofstra University. As a freshman I’ve only been here for a little over two months but, from what I’ve seen, it’s a rarity to see a black person in a relationship, let alone in a relationship with another black person. I’m not criticizing couples in general, I support all forms of love, but what I ask is why are serious relationships such a rarity in black culture? Every couple I have seen on campus has either been two white people, or one white person and a member of another race. The most common form of this that I have seen is a black male with a white female. There is nothing wrong with an interracial relationship, for I’m the product of it — my grandmother being Irish-American, my great-grandmother being Native American, and the rest of my family being black — but part of me aches for the black female, which I consider myself distinctly, who is left out of this equation of love.